Pokémon 3D is a recreation of the old Pokémon games Gold/Silver games by Nintendo. But Pokémon 3D is in no way related to Gold and Silver. As in most of the Pokémon games, you're the hero, and you want to be the best Pokémon trainer of all time. Currently this game is still under development but features are still added frequently. This is not a very detailed review, as most people that would be interested in this would be Pokémon fans/enthusiasts. If you've ever played the Pokémon games for the Nintendo DS, it will feel very similar (but minus the feeling of a touch screen). The only major differences are the camera angle of which you view your character (either first person or third person) and a 3D landscape with a mixture of the 2D graphics, similar to how the original doom looked. There is also co-op mode in this game, which you can enable by finding a Pokémon centre and finding the person with a box with a wifi logo on it. 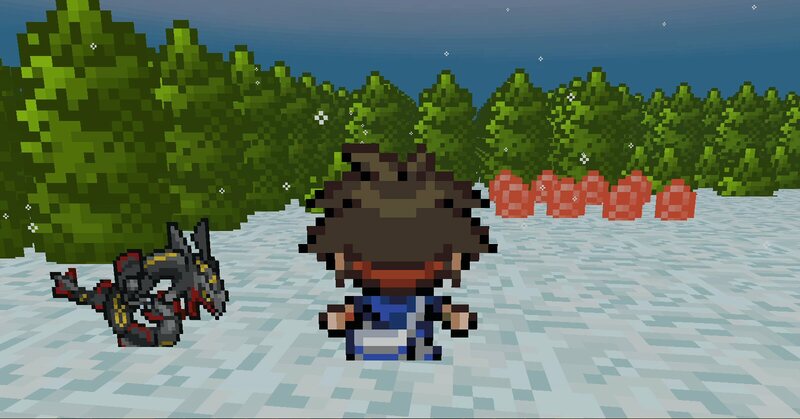 But basically in almost every way (if you're a Pokémon fan), this recreation will remind you a lot of the Nintendo DS Pokémon games with the 8-bit music, graphics and Pokémon. The only problem I had with the game is that you are stuck to walking on an invisible grid like the Pokémon game on the DS and earlier, so you can't freely walk around as you would normally in a 3D game.